The MedStar Health and University of Maryland Resident Physician Quality Improvement & Patient Safety Council, or QIPS Council, is hosting its second “Evening of Wine & Wisdom” educational speaker series and networking event. The event will take place on January 14th, from 5:30-8:30pm at Westminster Hall on the University of Maryland campus. You can register for this free event at www.QIPScouncil.org, and take part in engaging discussion after listening to presentations on “Inspiring and Empowering Change thru the Face of Medical Harm,” given by leading national patient and healthcare advocates. 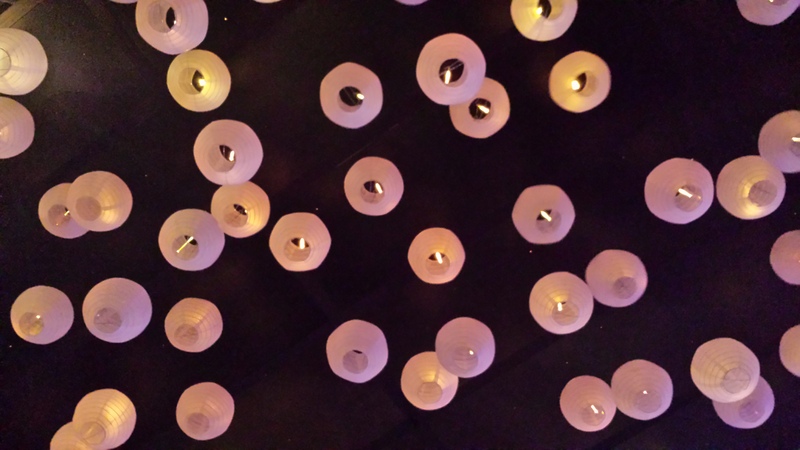 Building on the great success of our first QIPS “Wine and Wisdom” event held in DC that featured Paul Levy, author and leadership coach, our second event will include talks by speakers Helen Haskell and Rosemary Gibson. Helen is President of Mothers Against Medical Error, and Rosemary is an author, Senior Advisor at the Hastings Center and an ACGME Board Member. Both healthcare leaders have been working to educate the young (and old) on what it means to deliver care that is safe and patient-centered for the better part of their careers. 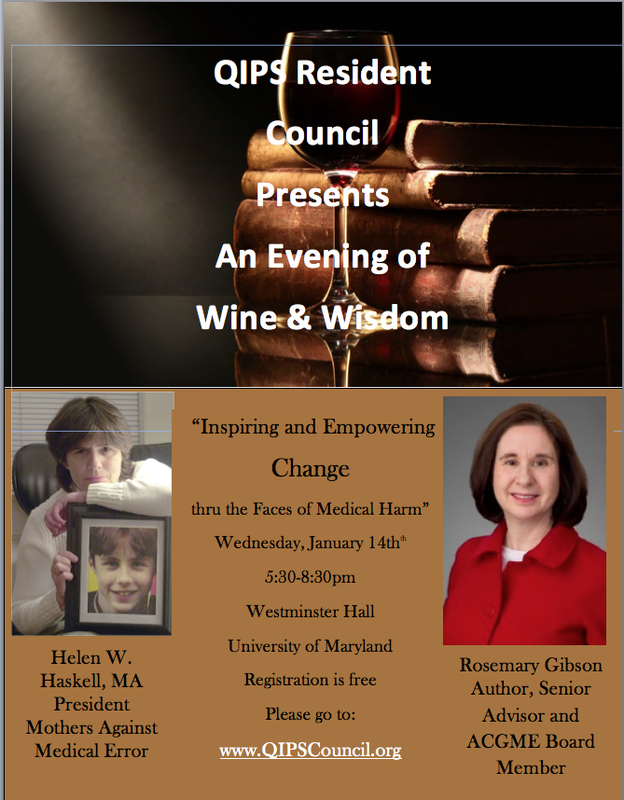 We hope you will join us for a great evening of Wine and Wisdom.